Looking for a steeple painter? Painting church steeples require the expertise of a skilled painter with the know how and experience of a high work specialist. 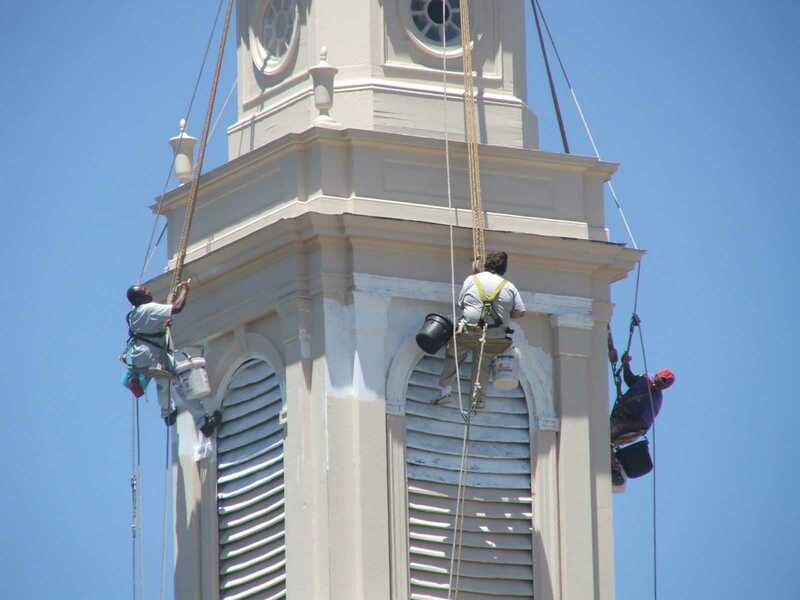 The steeplejack painters of Inspired Heights are able to paint and repair your church steeple without the expenses associated with cranes, lifts and scaffolding. Inspired Heights, keeping the cost down on church steeple painting. 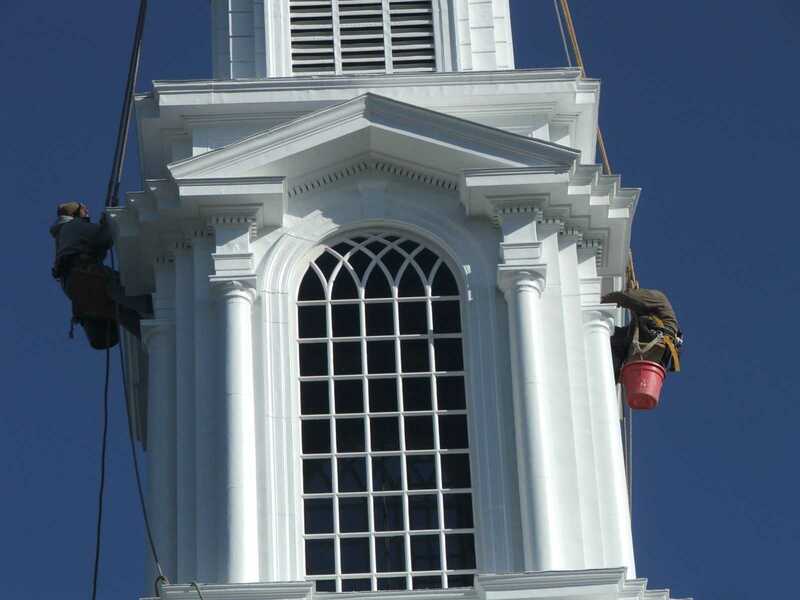 Inspired Heights, Inc. are national steeplejack contractors that are skilled church steeple painters. 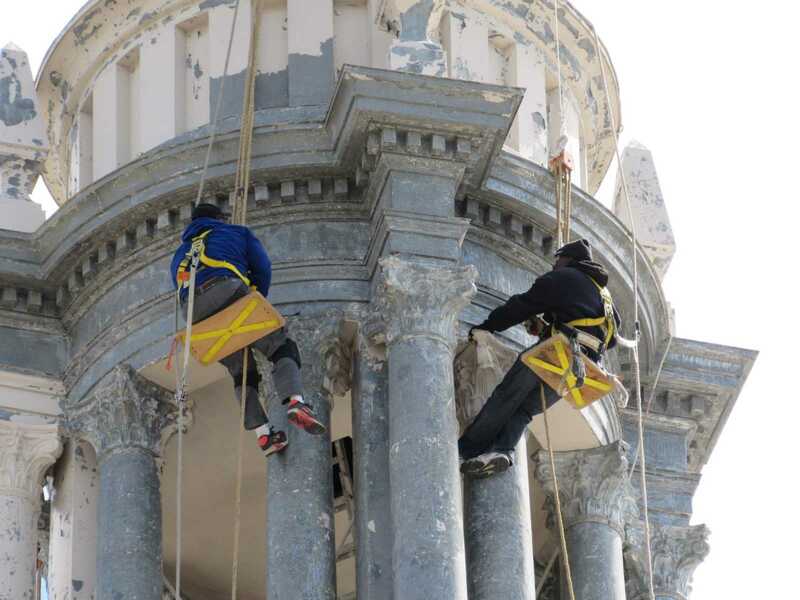 The artisans of Inspired Heights are familiar with the variety of oil and latex paints used in church steeple painting and have a solid understanding of compatibility issues between various paints, caulks and other sealants. 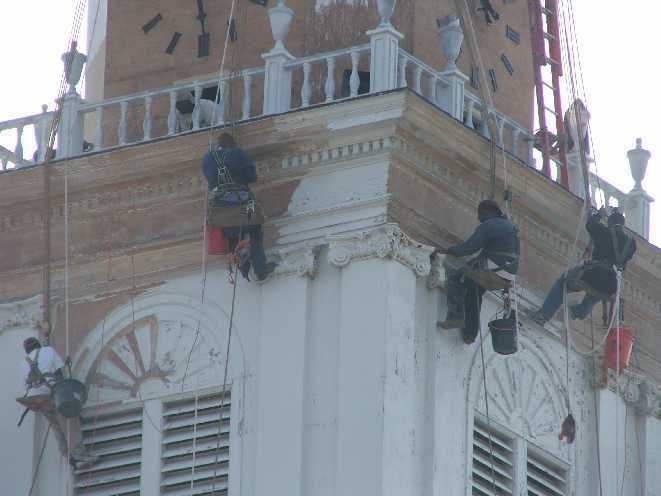 As experienced church steeple painters we are also licensed and experienced in performing lead safe renovations. Making the steeple painters of Inspired Heights the safe choice for your church steeple painting projects. Painting steeples is what we do.